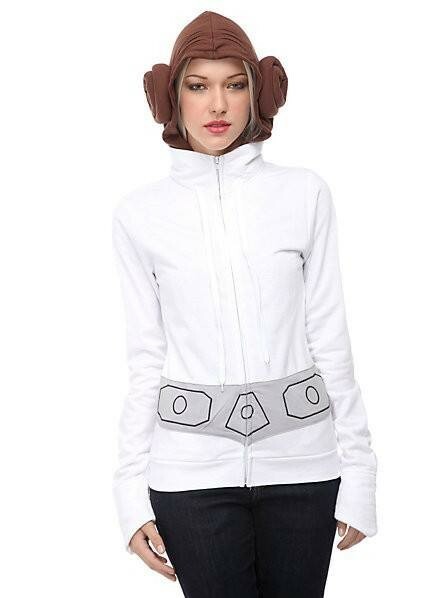 A long time ago in a galaxy far, far away...lived a very independent princess! 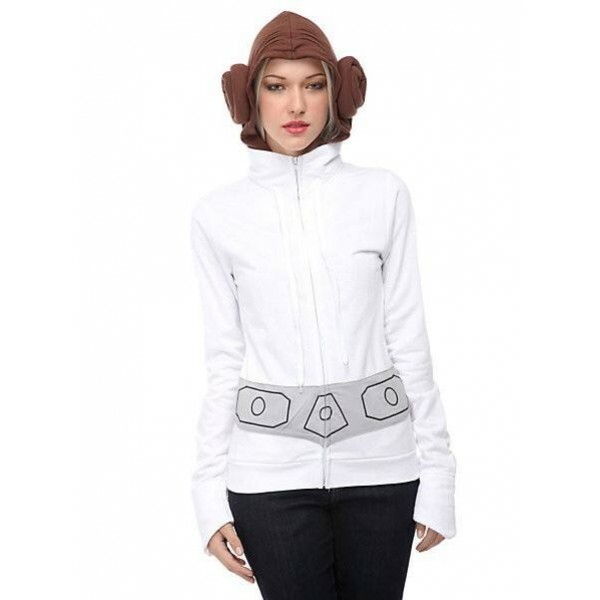 This great Princess Leia hoodie replicates her white dress and famous side hair buns from Star Wars IV: A New Hope. 60% cotton, 40% polyester. Available in juniors sizes small (US size 3 - 5) to extra-large (US size 13).